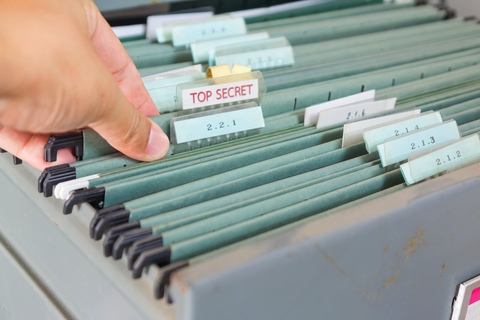 RiskSystem has document storage capabilities meaning all fund documents can be stored on our secure servers (located in four different countries) backed up regularly and accessible via the cloud at any time. 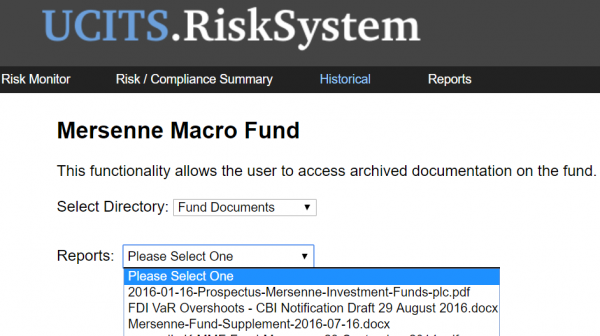 As well as having all the records of the fund accessible at any time RiskSystem archives all risk calculations and exposures (each and every time a risk number is calculated it is archived and stored securely). Should the Central Bank (or indeed any regulator) request these fund data records they are available and can be uploaded instantly. Please contact us at info@risksystem if you have an interest in discussing this functionality.